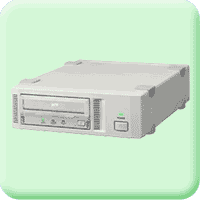 Tape drives remain the archival devices with the highest installed base. BackupEDGE 3.x has a very high level of support for tape drives, subject to only operating system limitations, with many features not found in other products. Automatic detection of tape drives by make, model, capabilities and in most cases even the serial number. Hardware compression is the default. Nine (9) levels of software compression are also available. 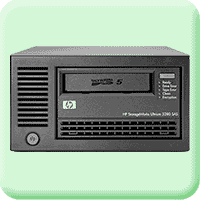 Direct booting for RecoverEDGE disaster recovery is supported when Hewlett Packard OBDR (One Button Disaster Recovery) drives are detected. Fast File Restore is available from any archive. It is not necessary to read through an entire archive (or multiple archive medium) to restore individual files and directories. MySQL™ hot backups are supported (except on OpenServer 5). 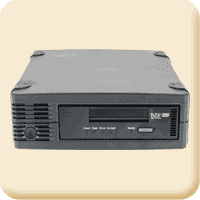 TapeAlert™ support gets diagnostics information right from the tape drive. Note 1: Under OpenServer 6.0.0 and UnixWare 7.1.4 SATA, the AHCI 1.2 driver is required and only Sony AIT drives with fixed 512-byte hardware block drives are supported by BackupEDGE. IDE/ATAPI drives are not supported. These are due to OS driver limitations. All SCO maintenance packs should be installed, as well as all driver updates detected by SCO patchck. Note 2: OpenServer 5 driver limitations prevent the full support of SATA or IDE/ATAPI tape drives. All SCO maintenance packs should be installed, as well as all driver updates detected by SCO patchck. BackupEDGE should work with any modern tape drive. We are in constantcontact with storage vendors and are committed to device compatibility. The following is a list of devices maintained in our certification lab and available for testing. Many Legacy devices from these vendors and from Tecmar, OnStream, WangTek and other vendors have been deleted from the list.